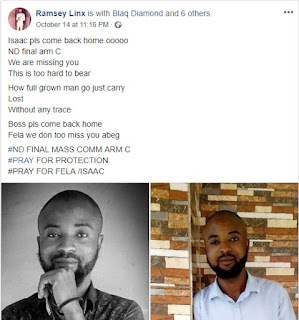 Family and friends of an undergraduate student have cried out for help after he went missing few days to his graduation. 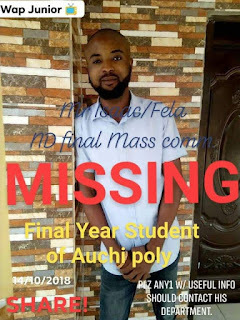 A final year student Auchi Polytechnic in Edo state has reportedly gone missing few days to his final year graduation. 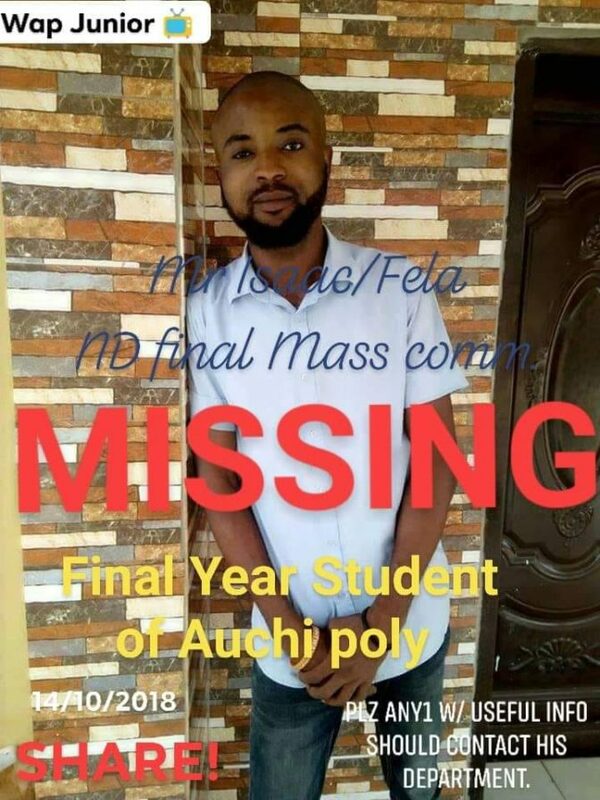 According to reports, the young man is set to graduate next week as his course mates and others can’t be able to reach him. 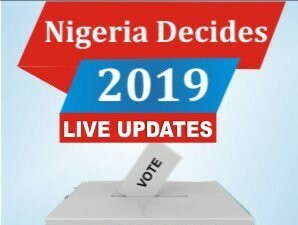 How full grown man go just carry Lost. Without any trace..
Boss pls come back home. Fela we don too miss you abeg..